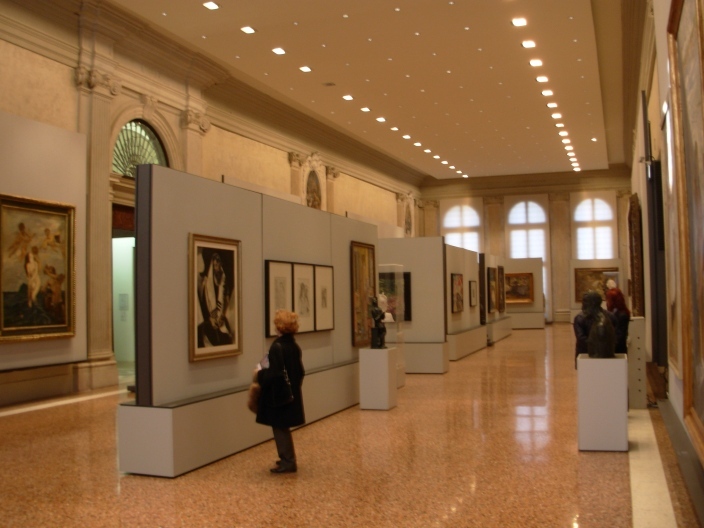 Modern art in Venice Private Tour - This tour about contemporary art will start visiting a splendid palace on the Gran Canal , Ca’ Pesaro, where works by Matisse, Chagall, Klimt, Kandinsky, Klee are kept. Following the Canal you’ll arrive to another palace, a strange neoclassical unfinished building, where the famous Peggy Guggenheim’ s collection, with works by Picasso, Mondrian, Ernst, Dalì, Magritte, Pollock and many others. At the end you’ll go to Punta della Dogana, where there is the Francois Pinault’s wonderful contemporary art collection. We are sure you will be enchanted by the wonderful panoramas of the ancient Venice mixed with the modern art exposition and the history of the painters. Join us in this great tour, we will be glad to show you all the art secrets, all the calle and the hidden places around Ca' Pesaro.